NOTE: PLEASE READ THESE TERMS AND CONDITIONS CAREFULLY. BY ACCESSING THIS WEBSITE OR MAKING A BOOKING YOU AGREE TO BE BOUND BY THE TERMS AND CONDITIONS BELOW. THESE TERMS AND CONDITIONS ARE SUBJECT TO CHANGE WITHOUT NOTICE, FROM TIME TO TIME IN OUR SOLE DISCRETION. WE WILL NOTIFY YOU OF AMENDMENTS TO THESE TERMS AND CONDITIONS BY POSTING THEM TO THIS WEBSITE. IF YOU DO NOT AGREE WITH THESE TERMS AND CONDITIONS, PLEASE DO NOT ACCESS THIS WEBSITE. Set the heat to minimum on your AGA oven in order for us to clean it without any risk of injury. Please provide access to the property in order for our window cleaning technician to dry the windows by hand. If you require the Key to be collected and/or Returned to a different address we charge an additional £20. We charge an Additional £30 to defrost the Freezer if it is not already done. If the Client Delays the Start or Finish time they will be charged an additional £32 per hour. I. 1. Cash payment is accepted upon completion of the requested work, directly to the company personnel. I. 2. Cash payment can be left in an envelope or other container at a specified location in the property where the requested service is being performed – company staff must be advised with all necessary details. I. 3. Cash payment can be left with a contact person present at the working site – company staff must be advised with all necessary details. I. 4. Cash payment can be left at a specific location, different from the working site, in cases where keys are to be picked from/delivered back to a different address. The cash payment associated with the requested work must be present at this location, in an envelope or other container, or left with a specified contact person – company staff must be advised with all necessary details. I. 5. In cases where the cash payment is not received in accordance to the aforementioned conditions (Point I.1, I.2, I.3 and I.4. from our Payment terms and conditions), such is expected within a time frame of 5 working days following completion of the work. All bank information needed for the payment is provided by company personnel by email, containing invoice and payment instructions. Our company will exercise the statutory right to claim interest as per the indication on the invoice associated with the service provided, and compensation for debt recovery costs under the Late Payment legislation if payment is not received according to our agreed payment terms. I. 6. In cases where cash or bank transfer payment is not received in accordance to the aforementioned conditions (Point I.1, I.2, I.3, I.4 and I.5 from our Payment terms and conditions), our company holds the right to process a payment from the card details provided by the customer during the process of arranging the service. II. 1. Bank transfer payments from private customers are only acceptable upfront. The amount associated with the requested work must be effected into a specified bank account at least 2 days prior to the service start. All bank information needed for the payment is provided by company personnel by email, containing invoice and payment instructions. If these payment terms are not met, our company holds the right to cancel the service. II. 1.a. In cases where bank transfer payment from a private customer is not received in accordance to the aforementioned conditions (Point II.1. from our Payment terms and conditions) and the service is provided, such is expected within a time frame of 5 working days following completion of the work. Our company will exercise the statutory right to claim interest as per the indication on the invoice associated with the service provided, and compensation for debt recovery costs under the Late Payment legislation if payment is not received according to our agreed payment terms. II. 1.b. In cases where bank transfer payment from a private customer is not received in accordance to the aforementioned conditions (Point II.1. and point II.1.a. from our Payment terms and conditions), our company holds the right to process a payment from the card details provided by the customer during the process of arranging the service. II. 2. Bank transfer payments from corporate customers, agencies and any type of business registered entities is acceptable within a time frame of 15 working days upon completion of the requested work. All bank information needed for the payment is provided by company personnel by email, containing invoice and payment instructions. Our company will exercise the statutory right to claim interest as per the indication on the invoice associated with the service provided, and compensation for debt recovery costs under the Late Payment legislation if payment is not received according to our agreed payment terms. II. 2.a. Services valuing £400.00 or above, payable with bank transfer and associated with corporate customers, agencies and any type of business registered entities, are to be secured with a deposit of 50% of the total service value, payable at least 2 days prior to the service start. All bank information needed for the payment is provided by company personnel by email, containing invoice and payment instructions. If these terms are not met, our company holds the right to cancel the service. II. 2.b. Our company holds a credit limit of £400.00 outstanding balance for services, associated with corporate customers, agencies and any type of business registered entities. No bookings for services will be accepted considering company liabilities have reached, or exceeded the aforementioned limit. III. 1. Cheque payments are arranged upon service completion directly to the company personnel. The cheque is composed following instructions from the company technician on site. Information in regard to the cheque payment containing invoice and payment instructions can also be provided by email, if such information is requested by the customer. III. 2. Cheques can be posted within a time frame of 5 working days for private customers and 15 working days when payments are associated with corporate customers, agencies and any type of business registered entities. III. 3. In cases where the conditions in point III.1. and III.2. of our Payment terms and conditions are not met, our company will exercise the statutory right to claim interest as per the indication on the invoice associated with the service provided, and compensation for debt recovery costs under the Late Payment legislation if payment is not received according to our agreed payment terms. All services shall be deemed to have been carried out to the Client’s satisfaction unless written notice is received by the Company with details of the complaint within 24 hours of the work being completed. We will fully investigate any complaint and attempt to resolve it to the satisfaction of the Client, or alternatively to a reasonable standard. If the client still living at the property after we finish with cleaning we reserve the rights to refuse to re-clean the property. The Client agrees to pay cash to the cleaner directly on the day or by setting up a bank Standing Order before the service commences. If the payment is not received, the cleaning company reserves the right to suspend or cancel the service. For all regular domestic cleaning services we do not require minimum term contract. We require at least one week’s notice to terminate the service. 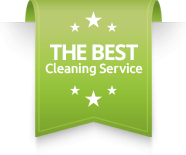 The price quoted to the Client over the telephone or in e-mail ONLY includes cleaning . The Client agrees to provide a list of cleaning tasks required and all detergents, supplies and equipment needed for the cleaning, unless otherwise agreed with the cleaning company. All equipment and supplies should be in safe working order. The Company is not liable for completing jobs where sufficient cleaning products equipment were not supplied to do so. Should a meeting with the cleaner is required by the Client, this should be paid in £10, to cover travel and time expenses. If the Client requires items to be cleaned that require special products/supplies beyond standard, the Company reserves the right to refuse to provide such special provisions. The Company will advise the customer to provide such specialist cleaning supplies, and provide instructions to the sales operative when placing the order via telephone or e-mail before the service is carried out OR to the cleaner when they arrive. The cleaning company and the individual cleaners hold Public Liability insurance. Neither the cleaning company nor its insurers shall be liable for the first £100 of any claim nor for any claim of £100 or less in value. However, where the cleaning company has not fulfilled its obligations to perform with reasonable care and skill under this Agreement or has failed to perform its obligations at all or to any significant extent, the cleaning company may also be liable for the first £100 of any claim. By entering into this service agreement with the Company, the Client agrees that at any time before OR for twelve months after the termination of the cleaning service, she/he will not hire or use any regular domestic services provided by a present or past cleaner introduced to the Client by the Company. If such situation occurs there will be a charge of £1000 for breaking this clause. The Company will look for their rights at the small claim court.